Plants from a variety of habitats have made their way to Mississippi, whether through deliberate means or by accident. As invasive species, they often thrive to the point of pushing out native plants. Whether a non-native species is considered a beautiful addition to the landscape or an out-of-control weed, experts and agents with MSU Extension provide Mississippians with the information they need to make decisions about the plants in their environment. BILOXI, Miss. -- Individuals interested in learning more about conservation of Mississippi's natural resources can attend the Coastal Mississippi Master Naturalist class. The seven-week course begins at 5:30 p.m. Sept. 7 at the Mississippi State University Coastal Research and Extension Center, located at 1815 Popp's Ferry Road in Biloxi. Classes meet once a week at various locations through Oct. 17. Weekday classes meet from 5:30 to 8:30 p.m. Weekend classes begin at 9 a.m. and end at 4 p.m.
STARKVILLE, Miss. -- Cogongrass was introduced to Mississippi 100 years ago as a new forage crop, but it is now an invasive weed landowners and managers are trying to destroy. John Byrd, weed scientist with the Mississippi State University Extension Service, said it was thought that this perennial grass had potential to benefit rural families. STARKVILLE, Miss. -- Cogongrass will not be in bloom for at least another two months, but now is the time for people who suspect they may have this weed on their property to find out for sure. STARKVILLE, Miss. -- With spring right around the corner, experts say now is the time for producers to control weeds that have developed resistance to commonly used herbicides. 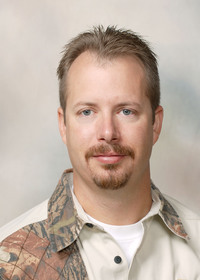 Jason Bond, associate research and Extension professor at the Delta Research and Extension Center in Stoneville, said glyphosate-resistant Italian ryegrass is a problem weed for producers in Mississippi. MISSISSIPPI STATE -- Driving along Mississippi highways is always best when the surrounding landscapes capture the driver’s imagination. Our road systems serve as scenic byways showcasing nature’s beauty.